Who owns the Nortwest Passage? 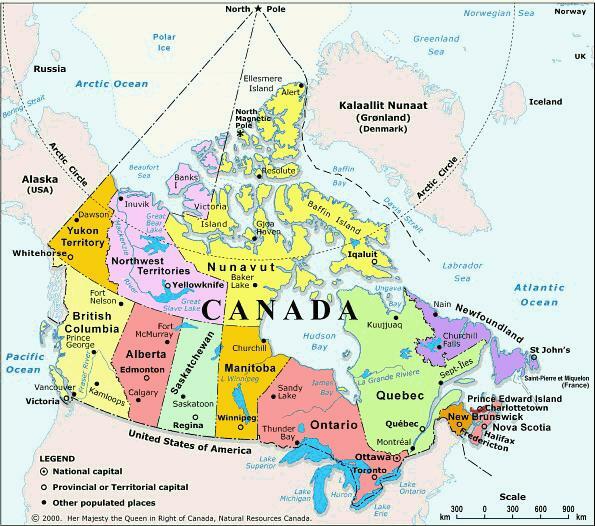 What is Canada sovereignty in the North? Background research for this paper: historical facts, principles, standards, articles, ways of doing things in the past, issues, maps, etc. 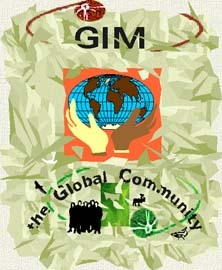 Manage the	Sustainable Development Global Information Society website. Luis T. Gutierrez, Editor of the Solidarity & Sustainability, Non-Violence homepage says the following about the book. The invited article this month is contributed by Leslaw Michnowski, a member of the Committee for Futures Studies "Poland 2000 Plus," Polish Academy of Sciences. In this paper, which is a synopsis of his recently published book on his vision for a sustainable development process "with a human face," he identifies the ingredients that will be required to assure a future for humanity and the human habitat. The reader is warned that this paper is not intended for casual, easy reading. Michnowski's intent is to define the information/knowledge infrastructure that will be required, the technologies to be used, and the principles of solidarity and social justice to be adhered to, in order to face the inevitable global crises now emerging as a consequence of the pervasive human misbehavior, socially and environmentally, triggered by (most recently) the industrial revolution. The reader will notice the congruence between this article and some of the issues and concerns discussed in page 1. The vision presented here is one that shows the need for a global transition toward a new order of things, one in which technology and other resources are used to balance individual interests with the common good. It is shown that it is a feasible vision, one that can be achieved if the humans who populate the planet make a decision to overcome obsolete mindsets that seek the accumulation of wealth and power as the only path to "happiness." The impending global crisis may trigger a sequence of events that forces making such decisions in the midst of turmoil and much suffering. Let us pray and work for a transition from homo economicus to homo solidarius. It may be painful, but it can be peaceful. This is the path of truth, freedom, and care; the path toward a better world for our children and grandchildren. This is the only path of sure hope. The creation of Nunavut was the outcome of the largest aboriginal land claims agreement between the Canadian government and the native Inuit people. The Inuit is one of the first indigenous peoples in the Americas to achieve self-government. They have the right to participate in decisions regarding the land and water resources, and rights to harvest wildlife on their lands. Conservation, restoration, and management of the Earth resources is about asking ourselves the question of "Who owns the Earth?" The Global Community has proposed a democracy for the people based on the fact that land, the air, water, oil, minerals, and all other natural resources rightly belong to the Global Community along with the local communities where those resources are found. The Earth is the birthright of all life. To gain control of the Northwest Passage, Canada would have	to show strong Earth management initiatives and the protection of its environment. Without the fulfillment of the Global Community criteria for sovereignty no one can claim ownership - sovereignty - of both Nunavut and the Northwest Passage. In Nunavut there is also a vast array of different life-form communities such as the polar bears, caribou, Arctic foxes, seals, beluga whales, northern fulmars, and those communities of organisms that inhabit the sea floor like brittle stars, worms, zooplankton, microalgae, bivalves and some of the lesser known sea spiders. And there are many more. Everyone of those global communities have an Earth right of ownership of the North and of all its natural resources. It is their birthright. They dont express themselves in English, but we understand them. Human beings have a moral obligation to protect and conserve the biodiversity of life on Earth. Fot the protection of those global communities we will need to create a biodiversity zone in the North by way of Earth rights and taxation of natural resources. We are all members of the Global Community. We all have the duty to protect the rights and welfare of all species and all people. Surviving the Century: Facing Climate Chaos and Other Global Challenges. climate change is not a technical or scientific problem. The main impediment to tackling global warming is that many of the powerful institutions of the world, whether it be the World Trade Organization, BP or the investment banks that control the world's allocation of capital are resistant to radically changing the way we operate the world economy. The poor, whose share of world income is certainly not growing, are unable to successfully demand that policies be developed to protect them from climate change or from other environmental or economic disasters. The most productive and efficient economies, judged in the conventional sense, are often the most wasteful and destructive. We are faced with thoughtless development that paves flood plains and destroys wetlands; dams that displace native people and scar watersheds; unchecked industrial growth that pollutes water sources; and rising rates of consumption that nature can't match. Increasingly, we are also threatened by the wave of privatization that is sweeping across the world, turning water from a precious public resource into a commodity for economic gain. The problems extend from the global north to the south and are as pervasive as water itself. Equally encompassing are the politics of water. Discussions about our water crisis include issues like poverty, trade, community and privatization. In talking about water, we must also talk about indigenous rights, environmental justice, education, corporate accountability, and democracy. In this mix of terms are not only the causes of our crisis but also the solutions. It ultimately comes down to an issue of democracy. We came to see that the conflicts over water are really about fundamental questions of democracy itself: Who will make the decisions that affect our future, and who will be excluded? The hot breath of global warming has now touched some of the coldest northern regions of world, turning the frozen landscape into mush as temperatures soar 15 degrees C. above normal. Entire hillsides, sometimes more than a kilometre long, simply let go and slid like a vast green carpet into valleys and rivers on Melville Island in Canada’s northwest Arctic region of Nunavut this summer, says Scott Lamoureux of Queens University in Canada and leader of one the of International Polar Year projects. The entire landscape is on the move, it was very difficult to find any slopes that were unaltered, said Lamoureux, who led a scientific expedition to the remote and uninhabited island. The topography and ecology of Melville Island is rapidly being rearranged by climate change. Whether we avert catastrophe with climate change may actually be decided by Citibank and Bank of America. Citi has been busy funding dirty energy. Last year they gave 200 times more money for dirty energy than for clean. In the process they've helped underwrite some of the world's worst environmental and human rights offenders. In 2006 they gave $4 billion to Peabody Energy, the world's largest coal mining company, which has been ravaging Dine and Hopi lands for 40 years, taking 2.5 million gallons of water out of their desert watershed each day and leaving behind a trail of toxic waste. The disastrous Peabody Energy got $4 billion last year from BOA, which should help them on their way to building new plants in New Mexico, Illinois and Kentucky. The banks are helping coal to take the wealth from us, to steal us blind and leave us in poverty, and leave us in poison. If those banks took the $141 billion they plan to spend on building new coal plants, and instead invested it in energy efficient measures, they could reduce electricity demand by 19 percent by 2025. A record melt of Arctic summer sea ice this month may be a sign that global warming is reaching a critical trigger point that could accelerate the northern thaw, some scientists say. The Arctic summer sea ice shrank by more than 20 percent below the previous 2005 record low in mid-September to 4.13 million sq km (1.6 million sq miles), according to a 30-year satellite record. It has now frozen out to 4.2 million sq km. This is a strong indication that there is an amplifying mechanism. To be considered eligible for an award it is necessary to be nominated in writing by a person competent to make such a nomination. Then the candidate must go througth the process of obtaining the award as per the selection process described at http://globalcommunitywebnet.com/globalcommunity/award.htm. In December 2005 there were 22 ECO Award recipients. And this year we are expecting several recipients of the Award. The year 2007 recipients list will be published in January 2008.